Toyota Kirloskar Motor sold a total of 13,677 units in the domestic market this month of July 2018. The company exported 747 units of the Etios series this month thus clocking a total of 14424 units. TKM had sold 17750 units in the domestic market, which was the best ever July Sales due to consciously lowering the volumes of vehicles sold to the dealers in June to 1973 surrounding uncertainty regarding GST implementation. The company had exported 1723 units of the Etios series in July 2017. Considering this fact, the company has been able to register a double digit growth of 36% in June –July 2018 as compared to the same period in 2017. We are happy that we have achieved a growth of 36% in the combined sales of June-July as compared to the same period last year. June –July 2017 was a unique case owing to last year’s GST scenario, wherein we supplied as per the market demand which was impacted due to impending GST implementation. With the dedicated efforts of all our stakeholders, we have registered a significant growth in June-July 2018 irrespective of the highest July sales last year. Also Jan –July 2018 we have posted a growth of 13% as compared to first seven months last year. It has been quite motivating that we have been able to sustain the positive sales pattern in the first half of the year and hope to continue the same in coming months. Innova Crysta has been the highest contributor to the June –July 2018 combined sales growth. Crysta has achieved a positive growth of 21% in June-July 2018 as compared to June-July 2017. 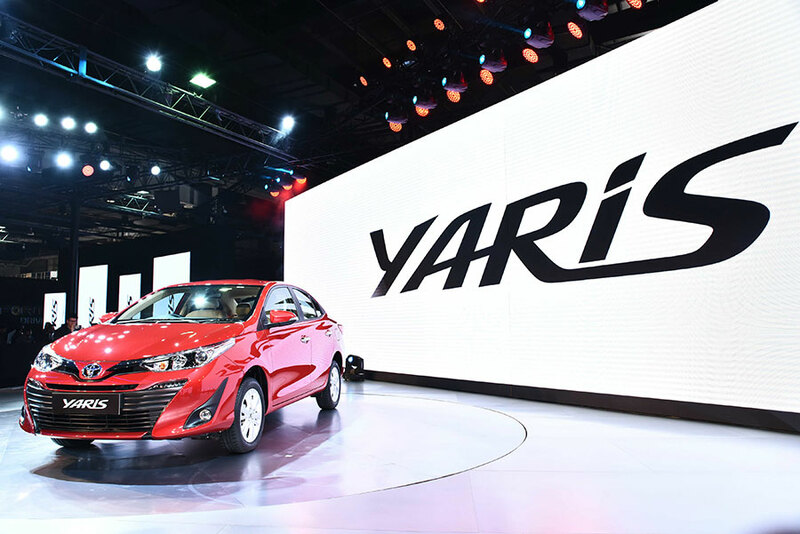 Recently launched Yaris has been receiving good traction from customers. To cater to rising demands of Government customers, Toyota Yaris has been recently included in Toyota’s special sales initiative “Drive the Nation” catering to Government employees (center and state) and Defense personnel. While State and Central Government employees can avail 100% On Road Funding for 8 years, Defense Personal can avail the Toyota Yaris through Canteen Stores Department. With positive momentum in customer demand, we hope to keep up with the industry growth and keep serving our loyal customers for their relentless support to brand Toyota.